NEW WILMINGTON, PA – Westminster College’s Model United Nations (MUN) organization will host its 11th annual Model United Nations Conference from 8 a.m. to 5 p.m. Monday, April 15, in the college’s McKelvey Campus Center. The conference will host local junior and senior high school students to represent United Nations members. The Westminster MUN Committee will call different committees into session throughout the day. Each committee will debate topics selected by students in Westminster’s MUN organization. This year’s topics will be relevant to issues that currently exist in the international environment. 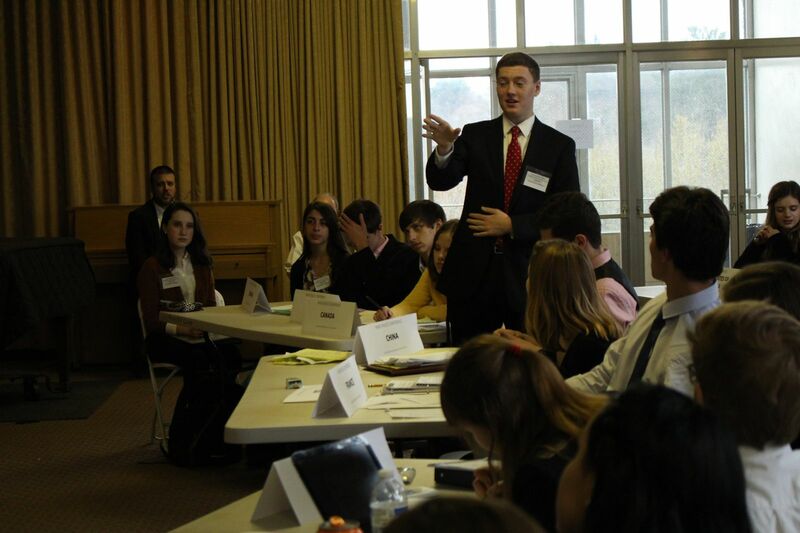 MUN at Westminster College is entrenched in its principles and manifested in all of its activities. Main goals are of an educational nature, particularly with regards to learning about the world, its numerous cultures, social and political systems and fostering understanding and active cooperation among people of all backgrounds. The organization takes upon itself the responsibility for preparing its members to be leaders of the greater global community, whether at the local or international level. This event is open to the public. For more information on the MUN Conference or how to register, contact Barbara Carr, academic administrative assistant, at 724-946-7180 or carrba@westminster.edu.